He J, et al. Metformin suppressed the proliferation of LoVo cells and induced a time-dependent metabolic and transcriptional alteration. Sci Rep-UK, 2015, 5:17423. Langley R J, et al. Integrative “omic” analysis of experimental bacteremia identifies a metabolic signature that distinguishes human sepsis from systemic inflammatory response syndromes. Am J Resp Crit Care, 2014, 190(4): 445-455. 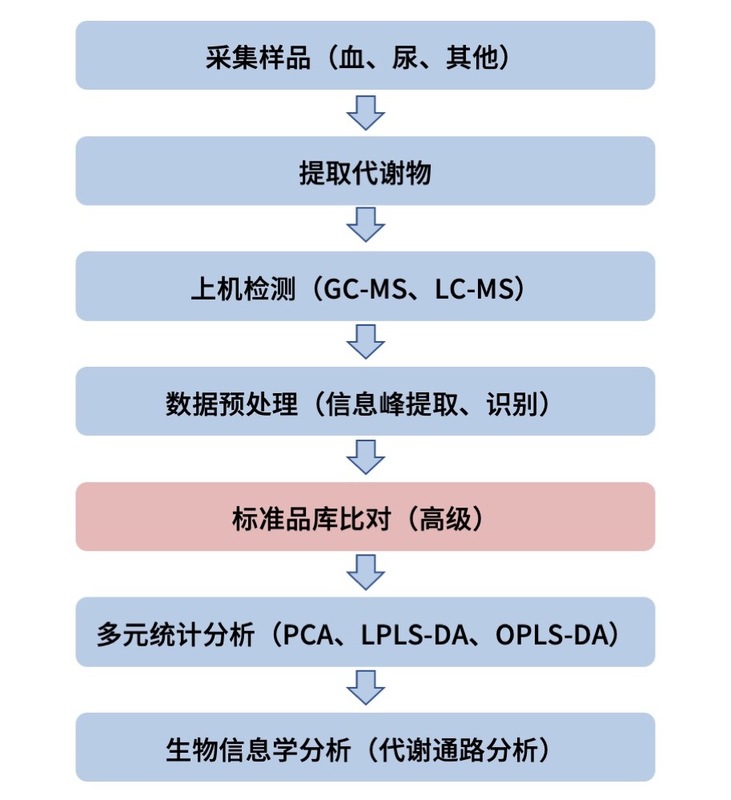 Zhou M, et al. Transcriptomic and metabonomic profiling reveal synergistic effects of quercetin and resveratrol supplementation in high fat diet fed mice. J Proteome Res, 2012, 11(10): 4961-4971. Li H, et al. Transcriptomic and metabonomic profiling of obesity-prone and obesity-resistant rats under high fat diet. J Proteome Res, 2008, 7(11): 4775-4783. Butte N F, et al. Global metabolomic profiling targeting childhood obesity in the Hispanic population. Am J Clin Nutr, 2015, 102(2): 256-67. Barrios C, et al. Gut-Microbiota-Metabolite Axis in Early Renal Function Decline. PloS one, 2015, 10(8): e0134311. Mondul A M, et al. Metabolomic analysis of prostate cancer risk in a prospective cohort: The alpha‐tocolpherol, beta‐carotene cancer prevention (ATBC) study. Int J Cancer, 2015, 137(9): 2124-2132. Yousri N A, et al. A systems view of type 2 diabetes-associated metabolic perturbations in saliva, blood and urine at different timescales of glycaemic control. Diabetologia, 2015, 58(8): 1855-1867. Kurland I J, et al. Integrative metabolic signatures for hepatic radiation injury. PloS one, 2015, 10(6): e0124795. Modesitt S C, et al. Women at extreme risk for obesity-related carcinogenesis: Baseline endometrial pathology and impact of bariatric surgery on weight, metabolic profiles and quality of life. Gynecol Oncol, 2015, 138(2): 238-245. Ventura R, et al. Inhibition of de novo palmitate synthesis by fatty acid synthase induces apoptosis in tumor cells by remodeling cell membranes, inhibiting signaling pathways, and reprogramming gene expression. EBioMedicine, 2015, 2(8): 808-824. Pan P, et al. Black raspberries suppress colonic adenoma development in ApcMin/+ mice: relation to metabolite profiles. Carcinogenesis, 2015, 36(10): 1245-1253. Wettersten H I, et al. Grade-dependent metabolic reprogramming in kidney cancer revealed by combined proteomics and metabolomics analysis. Cancer Res, 2015, 75(12): 2541-2552. Granata A, et al. Global metabolic profile identifies choline kinase alpha as a key regulator of glutathione-dependent antioxidant cell defense in ovarian carcinoma. Oncotarget, 2015, 6(13): 11216. Modesitt S C, et al. Women at extreme risk for obesity-related carcinogenesis: Baseline endometrial pathology and impact of bariatric surgery on weight, metabolic profiles and quality of life. Gynecol Oncol, 2015; 138(2): 238-245. Li Q, et al. Veterinary medicine and multi-omics research for future nutrition targets: Metabolomics and transcriptomics of the common degenerative mitral valve disease in dogs. Omics, 2015; 19(8): 461-470. Shirai M, et al. Hepatic glutathione contributes to attenuation of thioacetamide-induced hepatic necrosis due to suppression of oxidative stress in diet-induced obese mice. J Toxicol Sci, 2015; 40(4): 509-521. Menghini R, et al. FoxO1 regulates asymmetric dimethylarginine via downregulation of dimethylaminohydrolase 1 in human endothelial cells and subjects with atherosclerosis. Atherosclerosis, 2015; 242(1): 230-235. Guo L, et al. 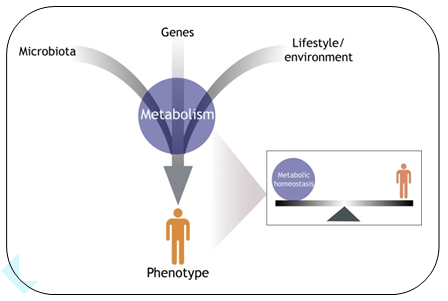 Plasma metabolomic profiles enhance precision medicine for volunteers of normal health. PNAS, 2015; 112(35): E4901-E4910. Prasad G L, et al. Global metabolomic profiles reveal differences in oxidative stress and inflammation pathways in smokers and moist snuff consumers. J Metabolomics, 2015; 1(1): 2. Richter C L, et al. Metabolomic Measurement of Three Timepoints in a Saccharomyces cerevisiae Chardonnay Wine Fermentation. Am J Poentgenol, 2015; ajev. 2015.14062. Marchesan J T, et al. Association of Synergistetes and Cyclodipeptides with Periodontitis. J Dent Res, 2015; 94(10): 1425-31. Beltrán-Debón R, et al. The acute impact of polyphenols from Hibiscus sabdariffa in metabolic homeostasis: an approach combining metabolomics and gene-expression analyses. Food & Function, 2015; 6(9): 2957-2966. Okamoto H, et al. Glucagon Receptor Blockade With a Human Antibody Normalizes Blood Glucose in Diabetic Mice and Monkeys. Endocrinology, 2015; 156(8): 2781-2794. Zhao Y, et al. SoNar, a Highly Responsive NAD+/NADH Sensor, Allows High-Throughput Metabolic Screening of Anti-tumor Agents. Cell Metab, 2015; 21(5): 777-789. Miller D B, et al. Inhaled ozone (O 3)-induces changes in serum metabolomic and liver transcriptomic profiles in rats.Toxicol Appl Pharm, 2015; 286(2): 65-79. Zhao Z, et al. Metabolite profiling of 5′-AMP induced hypometabolism. Metabolomics, 2014; 10(1): 63-76. Greineisen W E, et al. Chronic Insulin Exposure Induces ER Stress and Lipid Body Accumulation in Mast Cells at the Expense of Their Secretory Degranulation Response. PloS one, 2015; 10(8): e0130198. Tarasenko T N, et al. Kupffer cells modulate hepatic fatty acid oxidation during infection with PR8 influenza. BBA-Mol Basis Dis, 2015; 1852(11): 2391-2401. Patsoukis N, et al. PD-1 alters T-cell metabolic reprogramming by inhibiting glycolysis and promoting lipolysis and fatty acid oxidation. Nat Commun, 2015; 6:6692. Gerriets V A, et al. Metabolic programming and PDHK1 control CD4+ T cell subsets and inflammation. J Clin Invest, 2015; 125(1): 194. Chuang Y M, et al. Deficiency of the novel exopolyphosphatase Rv1026/PPX2 leads to metabolic downshift and altered cell wall permeability in Mycobacterium tuberculosis. MBio, 2015; 6(2): e02428-14. Rabara R C, et al. Tobacco drought stress responses reveal new targets for Solanaceae crop improvement. BMC Genomics, 2015; 16: 484. Tuttle J R, et al. Metabolomic and transcriptomic insights into how cotton fiber transitions to secondary wall synthesis, represses lignification, and prolongs elongatio. 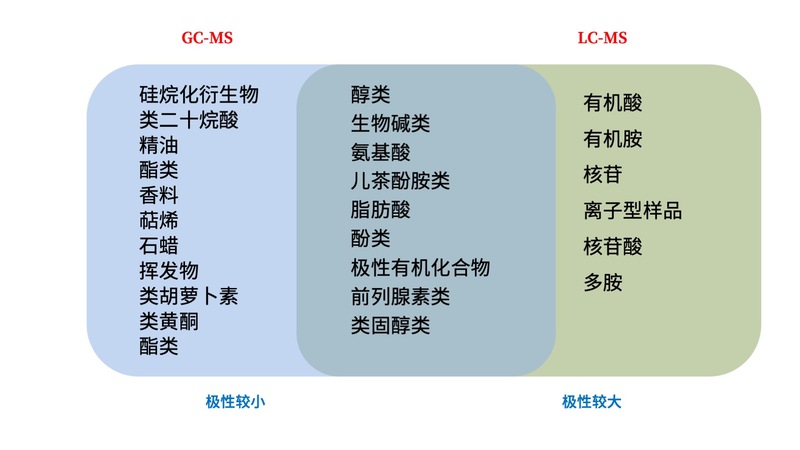 BMC Genomics, 2015; 16(1): 1. Rudd J J, et al. Transcriptome and metabolite profiling of the infection cycle of Zymoseptoria tritici on wheat reveals a biphasic interaction with plant immunity involving differential pathogen chromosomal contributions and a variation on the hemibiotrophic lifestyle definition. Plant Physiol, 2015; 167(3): 1158-1185. He B, et al. Transmissible microbial and metabolomic remodeling by soluble dietary fiber improves metabolic homeostasis. Sci Rep-UK, 2015; 5.